or for my bones that sob as they wander. And who doesn’t have a love? And who doesn’t delight in a field of poppies? This sinister delirium of loving a shadow. Alejandra Pizarnik (1936–1972) was a leading voice in twentieth-century Latin American poetry. Born in Argentina to Russian-Jewish immigrants, Pizarnik studied at the University of Buenos Aires and the Sorbonne. Known primarily as a poet, Pizarnik also published reviews, translations, theatre, and short works of experimental prose, and left behind a literary diary that reflects her debt to Kafka, Artaud, and Michaux. She died of an apparent drug overdose at the age of thirty-six. Yvette Siegert’s poetry and translations have appeared in Circumference, Guernica, Chelsea, Stonecutter, and Aufgabe. She has edited for The New Yorker and the United Nations, and taught at Columbia University and Baruch College of the City University of New York. She received a PEN Heim/NYSCA Grant and a Literature Fellowship from the National Endowment for the Arts for her translations of the collected works of Alejandra Pizarnik. 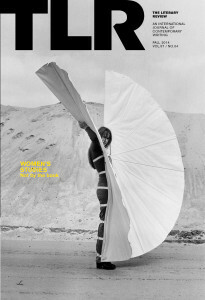 “Exile” originally appeared in Women’s Studies (TLR, Winter 2015).